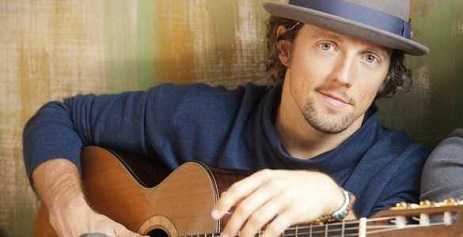 Released on the 3rd of January 2012, "I Won’t Give Up" sold close to 6.5 million copies across the globe, with 4 million in the U.S alone, making it Jason Mraz's biggest hit to date. This uptempo pop rock ballad with heavy folk rock influence was well received by the critics, for the positive vibes the song's lyrics radiated. With a theme based on never giving up in my life, no matter how bleak the situation is. It was never a surprise when “I won’t give up” debuted right on the 8th spot of the coveted Billboard Hot 100 charts within a few days of it's release,gaining traction across every major charting country, worldwide. Released as a lead single from the album Love is a Four Letter Word, the single reached the top ten chart positions in South Korea,Ireland,Austria,Norway,Scotland,Canada, Belgium apart from U.K and USA. Two versions of music videos were released for “I won’t give up” , the unofficial one released on Jason Mraz's YouTube channel,gained more popularity amongst the You Tubers, because of the way the lyrics integrated into the theme of the music video. Where a lover pens letters to his girl friend, so very often..to reinforce her trust, to show that he is still loyal and committed to her... in spite of the physical distance, until he finally meets her.